This past October Kensington Palace announced that HRH The Duchess of Sussex was pregnant. Seeing that she is due to deliver her child anytime from mid-April to early May I’d like to discuss and clear up any confusion to what titles the baby will have…if any. Under the provisions of the 1917 Letter’s Patent any children born to the Royal Couple during the life time of the Queen will NOT have a royal title. Under the provisions of the 1917 Letter’s Patent the royal title is limited to the grandchildren of the sovereign in the male line. The Duke and Duchess’ child will be great-grandchildren in the male line of the sovereign thus making them ineligible for a title. However, if the child is a boy he will be called the Earl of Dumbarton since the Earldom of Dumbarton is a secondary title of the Duke of Sussex. The eldest son of a duke, marquess or earl almost always uses one of his father’s subsidiary titles as a courtesy title; for instance, the eldest son of the Earl of Wessex is called Viscount Severn. Generally, the practice of using a secondary title as a courtesy title for the heir to a noble title is applied to non-royal nobles. Since the eldest son of the Earl of Wessex does not have a title he is granted the use of a courtesy title. This will be the case if the son of the Duke of Sussex remains non-royal. In the case of Royals with a dukedom (the Duke of Cambridge for example) the heir to the title, Prince George in this case, uses “of Cambridge” as a territorial designation instead of Earl of Strathearn his father’s secondary title. A male child will also be in line to inherit his father’s dukedom. Royal dukedoms are hereditary, according to the terms of the letters patent that created them, which usually contain the standard remainder to the “heirs male of his body”. However, if a male child of the Duke of Sussex remains without a royal title then the Dukedom of Sussex will cease to be a royal Dukedom once this child succeeds to the title. The original 1917 Act only provided a title for a great-grandchild in the male line of the sovereign when that child is the eldest son, of the eldest son of the Prince of Wales. In this instance, Prince George of Cambridge is again a good example. The Duke and Duchess of Cambridge and family. The Queen issued new Letters Patent on December 31, 2012 declaring that all of the Duke and Duchess of Cambridge’s children will have the title of Royal Highness and be styled Princes and Princesses. The document states, “The QUEEN has been pleased by Letters Patent under the Great Seal of the Realm dated December 31, 2012 to declare that all the children of the eldest son of The Prince of Wales should have and enjoy the style, title and attribute of Royal Highness with the titular dignity of Prince or Princess prefixed to their Christian names or with such other titles of honour.” This is how the siblings of Prince George of Cambridge, Charlotte and Louis, were able to be granted the style Royal Highness and Prince or Princess of the United Kingdom. It is my understanding that this amendment of the 1917 Letters Patent wasn’t just for the children of the Duke of Cambridge but also for any children of the eldest son of the Prince of Wales in the future, if ever the same circumstances arises. The Queen could do something similar with the children of The Duke and Duchess of Sussex. As the font of all honors Her Majesty is allowed to further amend the 1917 Act. However, in the long run it won’t be necessary when the Prince of Wales come to the throne. Any children born to the Duke and Duchess of Sussex that are born during the reign of Queen Elizabeth II will automatically gain the style Royal Highness and the title Prince/Princess of the United Kingdom of Great Britain and Northern Ireland when the Queen passes away; for they will no longer be great-grandchildren of the sovereign, they will be the grandchildren of the new sovereign, King Charles III. That is how things stand of today but they could change. I have encountered some people that believe the Queen will create Letters Patent granting the Royal Style and Title to the children of the Duke and Duchess of Sussex. The Queen issued Letters Patent granting that all of the Duke and Duchess of Cambridge’s children will have the title of Royal Highness and be styled Princes and Princess on December 31, 2012, a full seven months before the birth of Prince George of Cambridge. It is of my opinion that if the Queen was going to create Letters Patent granting the Royal style and title to the children of the Duke and Duchess of Sussex she would have done it by now. It is possible she will create new Letters Patent for the Sussex baby and I could be wrong. What I report next are rumors that haven’t been verified but are worth mentioning. There has been talk that when the Prince of Wales becomes king he desires to trim down the numbers of working royals. Also, I have heard that the Duke of Sussex, similar to the Earl of Wessex, desires that their children not be given a Royal title so they can be raised away from the limelight in order for them to have as normal of a life as possible. If any of that is true the Prince of Wales, as King, my create his own Letters Patent that replaces the 1917 Letters Patent restructuring the Royal Family and limiting titles. One thing is certain, whether boy or girl, the Baby of the Duke & Duchess of Sussex will be the FIRST to be officially surnamed Mountbatten-Windsor, per the Letters Patent of 1960. Under a declaration made in Privy Council in 1960, the surname Mountbatten-Windsor will be applied to male-line descendants of the Queen and the Duke of Edinburgh who are without royal styles and titles. Individuals with royal styles do not usually use a surname, but some descendants of the Queen with royal styles have used Mountbatten-Windsor when a surname was required. Consorts, Happy Birthday, Kingdom of Greece, Prince Philip, Prince Philip Duke of Edinburgh, Queen Elizabeth II, Queen Elizabeth II of the United Kingdom of Great Britain and Northern Ireland, The Duke of Edinburgh, United Kingdom of Great Britain and Northern Ireland. Prince Philip of Greece and Denmark was born in Mon Repos on the Greek island of Corfu on 10 June 1921, the only son and fifth and final child of Prince Andrew of Greece and Denmark and Princess Alice of Battenberg. Philip’s four elder sisters were Margarita, Theodora, Cecilie, and Sophie. He was baptised into the Greek Orthodox Church. His godparents were Queen Olga of Greece (his paternal grandmother) and Alexandros S. Kokotos (the Mayor of Corfu). A member of the House of Schleswig-Holstein-Sonderburg-Glücksburg, Philip was born into the Greek and Danish royal families. He was born in Greece, but his family was exiled from the country when he was an infant. After being educated in France, Germany, and the United Kingdom, he joined the British Royal Navy in 1939, aged 18. From July 1939, he began corresponding with the 13-year-old Princess Elizabeth, whom he had first met in 1934. During the Second World War he served with the Mediterranean and Pacific fleets. After the war, Philip was granted permission by King George VI to marry Elizabeth. Before the official announcement of their engagement in July 1947, he abandoned his Greek and Danish royal titles and became a naturalised British subject, adopting the surname Mountbatten from his maternal grandparents. He married Elizabeth on 20 November 1947. Just before the wedding, he was created Baron Greenwich, Earl of Merionethand Duke of Edinburgh. Philip left active military service when Elizabeth became monarch in 1952, having reached the rank of commander, and was formally made a British prince in 1957. Prince Philip and Queen Elizabeth have four children: Prince Charles, Princess Anne, Prince Andrew, and Prince Edward. He has eight grandchildren and six great-grandchildren. Through a British Order in Council issued in 1960, descendants of Philip and Elizabeth not bearing royal styles and titles can use the surname Mountbatten-Windsor, which has also been used by some members of the royal family who do hold titles, such as Prince Andrew, Princess Anne and Prince Edward. A keen sports enthusiast, Philip helped develop the equestrian event of carriage driving. He is a patron, president or member of over 780 organisations and serves as chairman of the Duke of Edinburgh’s Award for people aged 14 to 24. He is the longest-serving consort of a reigning British monarch and the oldest-ever male member of the British royal family. Philip retired from his royal duties on 2 August 2017, at the age of 96, after having completed 22,219 solo engagements since 1952. On this date in History: Queen Elizabeth II decrees non-royal descendants the surname Mountbatten-Windsor. On this date in History, February 8, 1960. Queen Elizabeth II of the United Kingdom issues an Order-in-Council, stating that she and her family would be known as the House of Windsor, and that her descendants will take the name Mountbatten-Windsor. In 1947, Princess Elizabeth (now Queen Elizabeth II), heiress presumptive to King George VI, married Philip Mountbatten. He was born a member of the House of Schleswig-Holstein-Sonderburg-Glücksburg, a branch of the House of Oldenburg, and had been a prince of Greece and Denmark. However, Philip, a few months before his marriage, renounced his princely titles and adopted the surname Mountbatten, which was the surname of his maternal uncle and mentor, the Earl Mountbatten of Burma, and had itself been adopted by Lord Mountbatten’s father (Philip’s maternal grandfather), Prince Louis of Battenberg, in 1917. It is the literal translation of the German battenberg, which refers to Battenberg, a small town in Hesse. The Battenberg family were morganatic scions of the Grand Ducal House of Hesse and By Rhine (formally Hesse-Darmstadt). Soon after Elizabeth became Queen in 1952, Lord Mountbatten observed that because it was the standard practice for the wife in a marriage to adopt her husband’s surname, the royal house had become the House of Mountbatten. This statement is rather surprising given Lord Mountbatten’s knowledge of his family’s royal genealogy and history in general. Plainly, Lord Mountbatten was wrong. Although it is true that technically the Queen was a Mountbatten by marriage, it was not true that the name of the Royal House had changed. Traditionally a female sovereign reigned under the Royal House to which she was born, and the name of the Royal House would not change until the next generation. 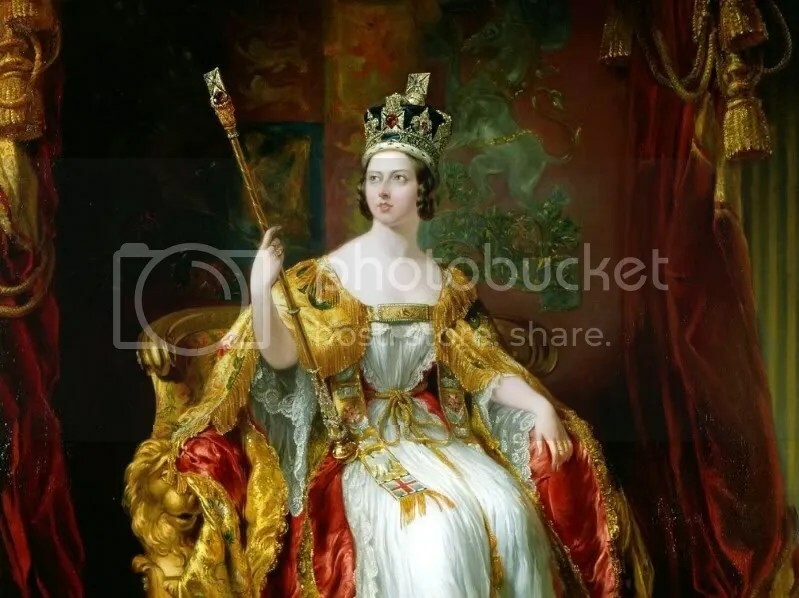 An example would be Queen Victoria (1837-1901) who was the last monarch of the House of Hanover (the Royal House representing her Patrilineal descent) while her son, King Edward VII (1901-1910) who was a member of the German House of Saxe-Coburg-Gotha, the same Royal House his father, Prince Albert, The Consort, belonged. It was the name of the Royal House of Saxe-Coburg-Gotha that was changed to Windsor by King George V (1910-1936) in 1917. On February 8, 1960, seven years after the death of Queen Mary and the resignation of Churchill, the Queen confirmed that she and her children would continue to be known as the House and Family of Windsor, as would any agnaticdescendants who enjoy the style of Royal Highness and the title of Prince or Princess. However, the Queen took a step further from the April 1952 decree and also decreed that her agnatic descendants who do not have that style and title would bear the surname Mountbatten-Windsor. This Amendment to the earlier decree came after some months of correspondence between the Prime Minister Harold Macmillan and the constitutional expert Edward Iwi. Iwi had raised the prospect that the Royal child due to be born in February 1960 would bear “the Badge of Bastardy” if it were given its mother’s maiden name (Windsor) rather than its father’s name (Mountbatten). Macmillan had attempted to rebuff Iwi, until the Queen advised the acting Prime Minister Rab Butler in January 1960 that for some time she had had her heart set on a change that would recognise the name Mountbatten. She clearly wished to make this change before the birth of her child. The issue did not affect Prince of Wales or Princess Anne, as they had been born with the name Mountbatten, before the Queen’s accession to the throne. Prince Andrew, the current Duke of York, was born 11 days later, on February 19, 1960. Any future monarch can change the dynastic name through a similar royal proclamation, as royal proclamations do not have statutory authority. However, despite the tradition that the name of the Royal House does change to reflect the Patrilineal descent of the new monarch, it seems unlikely the Prince of Wales will change the name of the Royal House and the House of Windsor will remain. It has been 10 years since the Prince of Wales married Camilla Parker-Bowles at Windsor Guildhall. After 10 years the marriage seems as strong as ever and I personally think that HRH The Duchess of Cornwall is an excellent companion and spouse for her husband. This marriage was not without controversy and many were not only against this marriage they are against the Duchess of Cornwall becoming queen upon the succession to the throne by the Prince of Wales. Although the Duchess of Cornwall is legally the Princess of Wales it is a title she doesn’t use out of deference to the late Diana, Princess of Wales. Clarence House announced at the time of the marriage that when the Prince of Wales becomes king the Duchess of Cornwall will be called HRH The Princess Consort instead of Queen. Now the truth is the Duchess will legally be Queen and that it will take an Act of Parliament to remove the title Queen from the Duchess. Despite a growing attitude that more people want the Duchess to be queen it still seems like a controversial topic. I am an American and most of my observation on this topic comes from social media. I belong to several groups and pages dedicated to royalty (I even run one myself) and this is still a hot topic for both sides. There seems to be an equal mix of those that support the Duchess and those that…well, there is no other way to put it….they hate her! The hatred comes from what I call overzealous Diana supporters. The sad thing to me about all of this is the fact that it has been eighteen years since Diana, Princess of Wales died and there are some who have not, or will not, let go of their hatred. I just don’t think holding onto that much anger or resentment is healthy. My thought is, if Diana had lived she would have forgiven the Prince of Wales and the Duchess of Cornwall and moved on with her life, possibly even remarried. So I wonder why those that still love and support her do not let go of their anger like she would have? Her sons, The Duke of Cambridge and Prince Henry of Wales, have accepted the Duchess of Cornwall as have Her Majesty the Queen and HRH The Duke of Edinburgh and the rest of the royal family. They all know her more intimately than any of us, so I trust their judgment. From all accounts that I have read the Duchess of Cornwall is a kind and caring woman. She is much better suited for the Prince of Wales than Diana was. That is a sad truth and that takes nothing away from the good heart and loving caring ways in which Diana, Princess of Wales lived her life. I also loved and admired Diana, Princess of Wales and that leads me to my closing point. There is enough love to go around for both of them. In my life one of the things that gives me meaning is seeking healing. I long for people to heal on the inside and I long to help heal the discord between people. A lot of time has passed and it is time to heal the rift between those that support the Duchess of Cornwall and those that still remember fondly Diana, Princess of Wales. For me the bigger picture is the future of the monarchy. And as I said at the conclusion of my series, Survival of Monarchies, the monarch rules by the will of the people and if the divide continues and is very vocal it could have a negative affect on the monarchy. The Duchess of Cornwall is a great support for the Prince of Wales and I think she has shown herself to be an important member of the royal family. It is time to heal and let us all show support for the entire royal family and be grateful they are still around providing welcome service to their country. Here is wishing the Prince of Wales and Duchess of Cornwall a happy tenth wedding anniversary and praying for more happy years to come! When the Duchess of Cambridge married Prince William of Wales the media spoke about her being a commoner. They were correct. Until her marriage she was indeed a commoner. However, did you know that until Her Majesty, Queen Elizabeth II, created her grandson Duke of Cambridge, Earl of Strathearn, and Baron Carrickfergus, that he too was a commoner? What may be even lesser known is that the queen herself, as young Princess Elizabeth, heir presumptive to the throne, was a commoner when she married Lt. Philip Mountbatten, former Prince of Greece and Denmark; and that he was not a commoner? You may think I have gone mad! Let me explain. In the British system, a society historically divided by class, there are three legal standings, or classes, people can hold and belong to. These positions/Classes are: The Sovereign, Titled Peers/Nobility and Commoners. Therefore technically and legally speaking if you are a Prince or Princess of the United Kingdom and you do not hold a peerage title, and you are not the sovereign, you are in fact… a commoner. 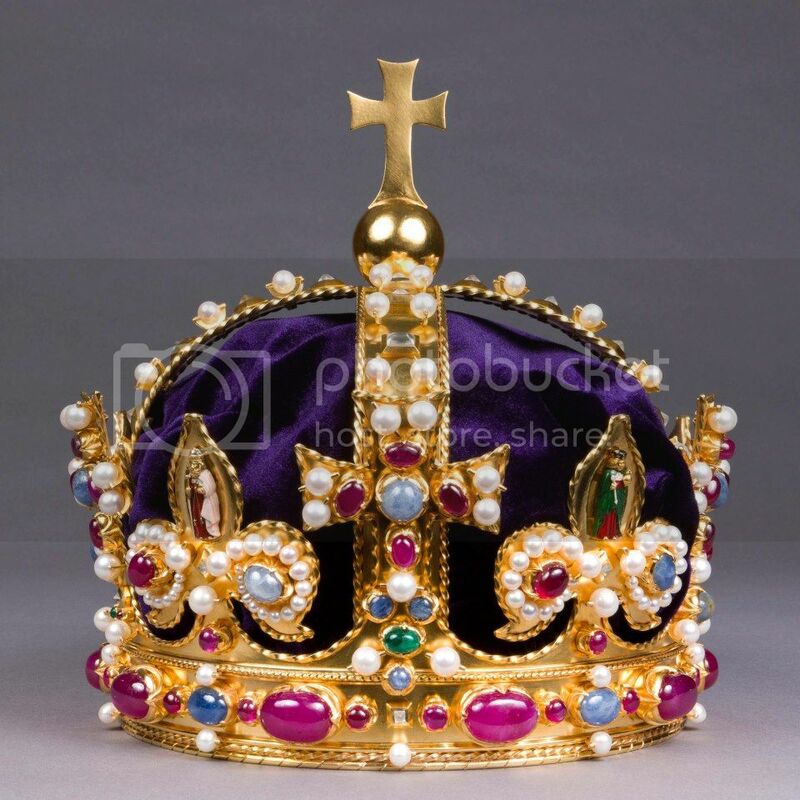 The style His or Her Royal Highness and the title Prince/Princess of the United Kingdom is a courtesy title held at the behest of the sovereign but does not bestow a legal position. Do not confuse this legal and class status with rank or precedence which are different subjects all together. A person may hold a princely title and have more precedence and out rank a peer. That will be the subject of my next blog entry. Therefore only members of the royal family that also hold peerage titles are not, technically speaking, commoners. The sons of Queen Elizabeth II are all Peers: The Prince of Wales, The Duke of York and the Earl of Wessex. Princess Anne, The Princess Royal, is a commoner because the title Princess Royal is a courtesy title and not a peerage title. In the next generation, only Prince William, as Duke of Cambridge, is a peer and all of his cousins (his children and brother) are commoners. The queens cousins, The Duke of Gloucester, Duke of Kent are also peers of the realm but their children are not. Prince Michael of Kent and Princess Alexandra of Kent are royal, but commoners. Interesting fact is that when the current Dukes of Gloucester and Kent pass on their titles to their children these titles will cease to be royal as the title of Prince or Princess of the United Kingdom is limited via the 1917 Letters Patent to the male-line grandchildren of the sovereign. Although the next Duke of Gloucester and Kent will not be royal they will be peers and not commoners. There are actually five types of peerages. The Peerage of England, Scotland, Ireland, Great Britain and the United Kingdom. These represent those titles that were created at the various times in the history of the country. The hierarchy, or rank, of these peerage titles is as follows: (highest to lowest) Duke, Marquess, Earl, Viscount and Baron. There is also the hereditary title of Baronet but Baronets are not peers but fit into the social class of the Landed Gentry. It gets confusing doesn’t it? I will end my post by keeping it simple. Unless you are the sovereign or a titled peer, even if you hold the style and title of HRH Prince/Princess of the United Kingdom of Great Britain and Northern Ireland, you are technically a commoner. On 20 November 1947 HM King George VI created his future son-in-law HRH Duke of Edinburgh, Earl of Merioneth and Baron Greenwich. This made the former Prince Philip of Greece a Peer of the Realm. When he married the king’s daughter, Princess Elizabeth, the very next day, she was a commoner while her husband was not. A good friend, George, and a follower of this blog, sent me this NY times article on the redemption of King Juan Carlos of Spain. The king has had a difficult years and Spain is also having its hard economic times. Here in the US we are also experiencing a struggling economy. It is times like this that monarchists like myself get a bit nervous. History has shown that monarchies and crowns, like governments, can collapse due to economic hardships. The Spanish monarchy, although ancient, has been in and out of favor. In the 1870s they experimented with being a Republic and once again the monarchy was abolished in 1931 and would not be officially restored until 1975. There are those that view the Spanish crown as on a probationary period and I wonder how secure the Spanish crown really is? In these times when monarchs reign and do not rule they are there by the will of the people. In the past monarchs have lived, and some still do, in grand places and had extravagant lifestyles. I think the day is long over when a king of queen being able to live in splendor while their citizens…or subjects…are suffering. Therefore monarchs today need to walk a fine line between the splendor that they and their countrymen are accustomed to. When I look at the extant monarchies today the monarchies of The Netherlands and Denmark seem less ostentatious to me. That may or may not be true. The cost of monarchies is often one of the main complaints by those who favor a Republican style of government. But looking at the reality of the situation will put this in perspective. I have seen prices ranging from $57 million to $62 million for the running of the British monarchy that tax payers have to pay for. However, I recently read that it costs tax payers $1.4 billion to keep the US President up and going. Granted we are a larger country in both area and population than any of the European states and since I am not a statistician I don’t know how that may compare to the European taxpayer. I guess my final point is that monarchs today have to not only be frugal with the tax payers money in practice but they also have to give the appearance of frugality. It is funny how times have changed. I have a book about the House of Windsor and it shows King George V on a tiger hunt and there is also a picture of Elizabeth II and The Duke of Edinburgh on a similar hut with a large dead Bengal tiger at their feet. Today the tiger is an endangered species so a tiger hunt would not be tolerated and rightly so. I think this is one of the same reasons why the Elephant hunt was so controversial. People are now more in support of animal rights and protecting wild life and people may not be as tolerate as generations in the past when kings and queens engaged in pastimes that that were more extravagant. What will the future hold? Will we see more stripped down versions of Europe’s royal families? I am curious to see what the reign of King Charles III of the United Kingdom will be like. There have been rumors ranging from limiting the royal title even further in order to have less family members dependent on the Civil List. I have heard rumors that Charles will not move into Buckingham Palace and will live either in Windsor Castle or stay at Clarence House. Not I am not trying to further fan the flames of rumors or give them weight and credence. What they point to me is there once Charles does become king, hopefully many years from now, there will be changes and I think that financial concerns will be a part of the motives for those changes. HRH Duke of Edinburgh taken to the hospital. It is being reported that the Duke of Edinburgh is being taken to the hospital as a precaution. Nothing else is known at the moment. One of the things I enjoy about royalty is how its members connect to the past and the rich history of each nation. One example I showed was the christening of Queen Elizabeth II and one of her godparents was HRH Prince Arthur, Duke of Connaught (1850-1942) son of Queen Victoria and Prince Albert. I failed to mention that the Duke of Connaught was also a godfather to one of his own descendents, his great-granddaughter, Queen Margrethe II, current Queen Regnant of Denmark! Even the Duke of Connaught’s life connects us to the past. One of his godparents was Arthur Wellesley, 1st Duke of Wellington (1769-1852) who lead the British in defeating Napoleon at the Battle of Waterloo in 1815! When I scan across the genealogy charts of these royal families it is often difficult to see all the lives that overlap. In many families, after a generation or two, relatives can be scattered all about different countries or different regions of the same country and never see or meet one another. I have cousins I have not seen in nearly 30 years. In my head I have some people belonging to certain eras and it is interesting to see how some of these people spanned the eras. For example, at 91, Prince Philip, the Duke of Edinburgh, is someone I associate with today’s time period. Yet in his youth he interacted with people I associate more with the Victorian and Edwardian eras. I have a couple of books by Charlotte Zeepvat. One is called Queen Victoria’s Family: A Century of Photographs & the other is The Camera and the Tsars: A Romanov Family Album which both showcase wonderful family photographs. Although I will not be able to post some of the photographs but I did want to discuss some of the family connections they depict. I found these interesting and I hope you will also. There is a picture of the funeral procession of King Edward VII of Great Britain. In the procession is the new king, George V, and his two eldest sons, Edward, Duke of Cornwall (future Edward VIII) and Prince Albert (future George VI). Also in the procession was Kaiser Wilhelm II of Germany. I had known that the Kaiser and George V were fist cousins, what I did not know was that the Kaiser had met the future George VI, father to the the present queen. There is another family gathering of the Swedish royal family. In the picture is Prince Arthur, Duke of Connaught, whose daughter, Princess Margaret of Connaught had just died unexpectedly the previous year. Also depicted is her widowed husband, Crown Prince Gustaf Adolph (Gustaf VI Adolph of Sweden) and his children, the youngest, prince Carl-Johan just passed away a month or so ago. There are a couple of pictures with Prince Philip, Duke of Edinburgh which connects him to the Victoria era. One takes place in 1931 with the marriage of his sister, Princess Cecile of Greece and Denmark to Hereditary Grand Duke Georg-Donatus of Hesse and by Rhine. Standing in front of Prince Philip is his great-uncle, Grand Duke Ernst-Ludwig of Hesse and by Rhine, and next to him is his sister, the Dowager Marchioness of Milford Haven (Princess Victoria of Hesse and by Rhine) grandmother to prince Philip and the bride, Princess Cecile of Greece and Denmark. Grand Duke Ernst-Ludwig of Hesse and by Rhine and the Dowager Marchioness of Milford Haven were grandchildren of Queen Victoria. In October of 1937 Hereditary Grand Duke Georg-Donatus of Hesse and by Rhine and his wife, Cecile of Greece and Denmark (along with two of their children) were killed in a plane crash en-route to the wedding of his brother, Prince Ludwig of Hesse and by Rhine to Margaret Campbell-Geddes. In the funeral procession were members of German Royalty. Prince Philip, then aged 16, walked in front of Prince August-Wilhelm of Prussia the son of Kaiser Wilhelm II. Speaking of the Kaiser. 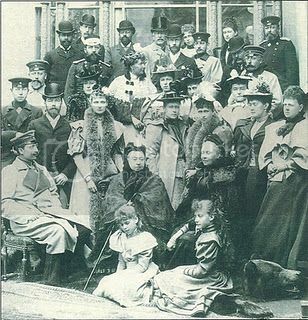 The book had a picture of the Kaiser holding his great-grandson Prince Friedrich Wilhelm of Prussia, son of Prince Louis-Ferdinand and Grand Duchess Kira Kirillovna of Russia. Although Prince Friedrich Wilhelm of Prussia married unequally he still claims to be the head of the House of Prussia. In the book is also the only picture I have seen of King Alfonso XIII of Spain with his grandson the current Spanish King, Juan Carlos. Alfonso XIII was born a king in 1886 after the death of his father. One of the two people in European History to be born a king. The other was King Jean I of France who died a five days after his birth in 1316. There you have some interesting connections. I will have more for next Monday’s look at royal Geology.